Pool water chemistry is regulated automatically – providing optimum levels of water sanitation while using less chlorine and acid. This means you get a better result – and save money! 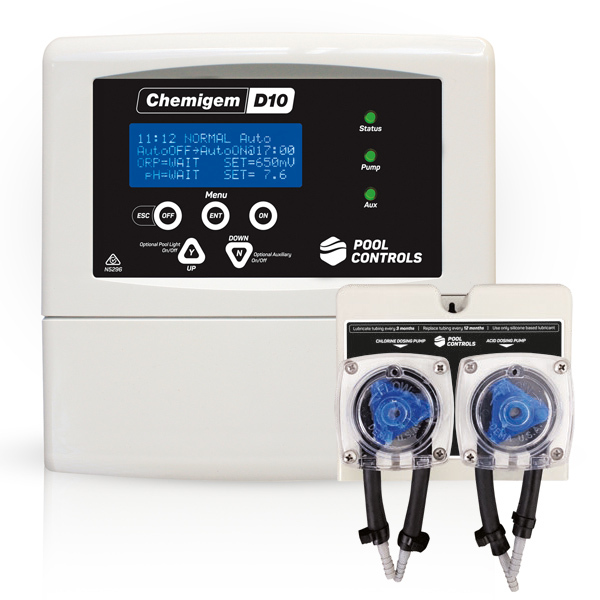 The Chemigem D10 is covered by a full 3 year Manufacturer’s warranty.